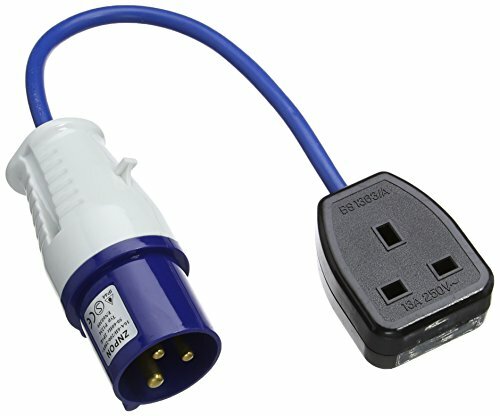 16A 3-pin plug to 13A 3-pin socket converter suitable for camping, caravanning and on-site generators. Cable length 250mm. Max 240V.